Friends of Lake Sakakawea Board of Directors will meet 10 a.m. Friday, May 5, at the New Town City Hall. 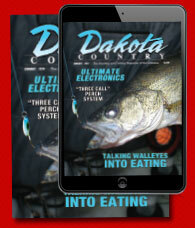 For get on the agenda, email friends@lakesakakawea.com. A bill in front of the Legislature raises the question of discrimination if the U.S. Army Corps of Engineers turns back land to the Three Affiliated Tribes without the same opportunity for non-natives. House Concurrent Resolution 3019 is a revised version of earlier attempts to return Lake Oahe land south of Bismarck to original owners, including to Rep. Jim Schmidt, R-Huff, and now includes land around Lake Oahe and Lake Sakakawea. It states that, after returning to the tribes some 25,000 acres of land not needed to operate the Lake Sakakawea reservoir last fall, “fairness dictates” the corps do the same for prior owners, or their heirs, off the reservation. A coalition of outdoor groups is opposed, fearing it could privatize tens of thousands of acres of public lands from the Montana border to South Dakota now open for fishing, hunting, boat ramps, camping and general recreation, says spokesman Randy Kreil, of Bismarck. He said there are 18,000 acres around Lake Oahe in state Wildlife Management Areas and other public uses that could be in jeopardy. The resolution is in conference committee and chairman Rep. Todd Porter, R-Mandan, said the committee met Tuesday to clarify the content. He said the committee wants more information about the Three Affiliated Tribes transfer, about the status of the Legislature’s earlier efforts and about the effect on existing cabin owners’ access if corps-owned property between them and the lake were returned to private ownership. Porter said he supports returning excess corps land to the state, but not to private ownership, because the state has so much at stake in investment in ramps and other improvements. He said it’s his job to represent the House's interests. Sponsor Rep. Terry Jones, R-New Town, said the scope of the resolution is limited: After the corps identifies land it doesn’t need for flood control, individuals would have to make a case to the state Board of University and School Lands to repurchase it. “We’re asking the federal government to not discriminate. They made land available to the tribes, and, if they did that for the tribes, they should also give land back to North Dakota citizens,” said Jones of small ranch tracts — hills or calving pastures — that were “wrongfully” taken because of how the corps’ drew its taking lines. Jones said he expects this might amount to 5,000 to 10,000 acres along Lake Sakakawea. “This would create a program in the state specifically to reattach land that was wrongfully taken. People would make a claim that fit the criteria of the program and pay market value and survey costs so there’s no net cost to the state,” he said. Bill Helphrey, a lobbyist for North Dakota Bowhunters Association and other sporting interests, said it’s ironic that the resolution calls out the corps for discrimination at the same time it proposes to sell land to only select people even after the taxpayers paid for it decades ago. He said he’s opposed to any loss of land used for recreation. Even though the resolution says any repurchase could not conflict with state interest, Kreil said the language is so ambiguous that no one knows what “state interest” really means. “Is it wildlife management areas, state parks? What about county parks and boat ramps?” he said. Kreil said this attempt to take public lands off the table is “worse than the last time,” when Schmidt sponsored a bill to restore, among other tracts, his family land south of Mandan, now a wildlife management area shooting range and hunting grounds. He said amendments to include land around Lake Sakakawea, instead of just Lake Oahe, came up practically overnight in the Senate. “This affects thousands of North Dakotans and again, nobody knew about it. It’s the same dirty pool, because they know if people know about it, it wouldn’t pass muster,” he said. Of equal concern is the potential effect on the corps’ management plan for the reservoirs and Missouri River system, Kreil said, because North Dakota had to fight hard to make a case for including recreation in system management, along with navigation and flood control. The federal law to restore tribal land prevented individuals from benefiting and requires the land be held in tribal trust status by the Department of the Interior. Typically at this time of year the Bighorn River below Yellowtail Dam in Montana is running at about 3,200 cubic feet per second. Right now the river is at 9,000 cfs with plans to bump it up to 10,000 cfs as snow continues to fall in the mountains. The impetus to draw down Bighorn Reservoir, which is created by Yellowtail Dam, is heavy snowpack in the Shoshone River drainage. As of April 3 the drainage had snowpack that was 154 percent of average, said Lyle Myler, deputy area manager of the Wyoming Bureau of Reclamation. Already in March, runoff into Buffalo Bill averaged 66,000 acre feet, whereas the average is usually around 20,000, Myler added. That’s the most since the Bureau of Reclamation began keeping records in the 1920s, he said. The Bighorn River drainage in Wyoming has built up snowpack that’s 119 percent of average. The Bighorn and Shoshone rivers feed Bighorn Reservoir, prompting the Bureau of Reclamation’s high releases from Yellowtail Dam so early in the year. Davies said Bighorn Reservoir is dropping almost a foot a day to reach a target elevation of 3,600 feet. The reservoir is full at 3,640 feet. Because the reservoir is being drawn down, the likelihood that Horseshoe Bend boat launch, at the southern end of the lake, will have enough water to be usable by Memorial Day weekend is unlikely. High water in the Montana section of the Bighorn River at this time of the year has a couple of different impacts. For the world-renowned fly-fishing destination, such runoff can push juvenile brown trout that are hatching in March and April downstream, said Mike Ruggles, a Fish, Wildlife and Parks fisheries biologist. Another concern is that high flows now could mean that rainbow trout will lay their eggs in places that could be dewatered as the river flows drop. The peak of the rainbow spawn is in May. “For rainbows this is not good,” Ruggles said. Rainbow trout numbers are already lower than what FWP would like to see in the fishery, although strong brown trout recruitment is filling in the gap so there’s no shortage of trout. High water also typically means good aquatic insect production for the next few years, Ruggles said, meaning there will be plenty to eat for the fish that remain. Releasing larger volumes of water down the Bighorn River also means more water is running into the Yellowstone River, which feeds Lake Sakakawea, just over the Montana border in North Dakota. The Army Corps of Engineers, which operates Sakakawea’s Garrison Dam, saw runoff hit 125 percent of normal thanks in part to the additional water from Bighorn Reservoir along with low elevation snowmelt, according to Jody Farhat, chief of the Corps’ Missouri River Basin Water Management Division. “We’re seeing pretty high inflows to Garrison already,” she said, referring to the dam that creates Sakakawea. “We’re just capturing it at Garrison right now. We try to keep (Sakakawea and Fort Peck reservoirs) steady to rising during the forage fish spawn,” which is key to a healthy sport fishery. Fort Peck Reservoir, which is fed by the Missouri River, saw runoff of 124 percent of normal in March, Farhat said. According to NRCS data, the mainstem Missouri River drainage was sitting at 91 percent of normal at the end of March. Snowpack in the Jefferson, Madison and Gallatin drainages, which combine to create the Missouri, were sitting at 97, 107 and 93 percent of normal, respectively. The reservoir’s elevation is at 2,236.3 feet, good enough to cover the bottom of all the lake’s boat ramps. The current elevation is higher than the lake reached all of last year, but far below the 2,252-foot June elevation the lake reached in the record-setting high water year of 2011. It’s up in the air as to whether the Yellowstone River, a section of which was closed to all recreation for a portion of last summer due to the outbreak of a fish-killing parasite, will fare better this summer considering that its snowpack is 119 percent of average in Montana and 137 percent of average in Wyoming drainages. That will all depend on how fast the mountain snowpack melts. Last year’s runoff peaked earlier than usual in June and the water temperature was climbing dangerously high by early July. Meanwhile on the lower Yellowstone River, the Powder and Tongue rivers — which flow from central Wyoming — have snowpacks that are 99 and 116 percent of average, respectively. The bigger snowpacks in Wyoming are farther west, where several drainages are more than 150 percent of average and the Sweetwater drainage is at 194 percent of normal. Runoff could also be augmented by rainy weather or more snow piling up in the mountains. The National Weather Service’s three-month outlook is showing a potential for above average precipitation in the area associated with Buffalo Bill Reservoir, Myler said. That’s not great news for his staff. Porter said there's no sure outcome with the resolution in conference because the House disagrees with the Senate's amended version. If there's no agreement, it could go to the House and be defeated, or if a solution is found, it could pass both chambers again. Friends Board Meeting -- The Friends of Lake Sakakawea Board of Directors will meet 10 a.m. Friday, May 5, at the New Town City Hall in the Squad Room. The meeting is open to the public. If you have items you'd like discussed at the meeting, please emailfriends@lakesakakawea.com to get on the agenda. Aquatic Invasive Species bill package -- Late last week, a bundle of bills targeted to deal with aquatic invasive species were dropped in the hopper. These bills will devise plans, programs and funding to contain and prevent the spread of two primary aquatic invasive species – zebra mussels and quagga mussels. These mussels are quite prolific and can be devastating to waterways if they become established. VAN HOOK — A fleet of earth-moving equipment rumbles across the black dirt at a multi-well oil pad very near Lake Sakakawea’s busiest boat ramp. Slawson Exploration didn’t hesitate to start work on a controversial 11-well unit about 800 feet from the ramp at Van Hook Recreational Site, where hundreds have cabins, thousands recreate and 90,000 visitors were tallied in the most recent year counted. The company was issued a final permit March 10, and scrapers and dozers were at the pad five days later. That may seem like record time off the starting block, but company spokesman Eric Sundberg points out that the permit to extract oil 2 miles below Lake Sakakawea was five years in the process. This time of year, the yellow machinery crawling around the 25-acre dirt pad is about the only thing moving at Van Hook. Stubborn, rotting ice still reaches up to choke off the ramp and the dozen or so year-round residents are just starting to think about yard work and priming the boat motor. They’re also thinking about what life will be like when a drilling rig moves in next month and hydraulic fracking crews come behind it. They haven’t forgotten that Slawson lost control of an oil well just to the east of Van Hook in 2012 and a plume of oil, gas and salt water spewed 50 feet high for two days before the well was controlled. There also was a nearby fire on a tank battery during a lightning storm last summer. Beyond the unusual events, the Van Hook arm — a vast reach of water extending north from the main lake proper — is surrounded by what has become mostly routine oil development. The arm is entirely within the exterior boundaries of the Fort Berthold Indian Reservation, which has 1,600 oil wells, 10 rigs drilling and another 500 wells permitted. Arden Eide retired to a home at Van Hook. There’s a sunny attached porch with an outdoor kitchen and kayaks piled up, evidence that when warm weather rolls in, so do the good times. Eide also is a member of the Mountrail County Park Board that manages the Van Hook site, and the Friends of Sakakawea, an advocacy group that objected to the proximity of the Slawson project. The park board didn’t have any say in the wells’ location and would have preferred more of a setback from the busy ramp. But Eide says it will also receive some lease revenue from the project, creating the sort of nuance familiar to many — the oil patch takes, it gives and for the most part, it just is. “All of us who live here, our life’s been compromised by the Bakken,” Eide said. The wells’ closeness to the water, where families unload boats and coolers is a concern. “That blowout was very close,” he said. On the other hand, an oil transload on the railroad about a mile away is noisy and loud, and, over the years, the sounds of wells being fracked were audible all over the Van Hook arm. Colleen Dorval, of Van Hook, was babysitting her granddaughter in the baby’s parent’s home, the closest one at Van Hook to the well development just across the roadway. She can hear the low rumble of the machinery at work, but said she was uncomfortable talking about the wells because her husband is a Slawson Exploration employee. “I will say my worries are lessened by the fact that I know my husband will do all he can in his control to make sure it’s done properly,” she said. A few blocks away, down the dirt lanes that divide the 120 Van Hook cabin sites into town-like blocks, Ron and Margo Egeberg were enjoying a quiet noon hour together. Ron Egeberg said he could hear the roar of the 2012 blowout and remembers the sound. “That’d be the main worry. It’s a shame it has to be where it’s at, but we aren’t going to stop it now,” he said. In balance, though, he doesn’t think the project will change life much at Van Hook and hopes it doesn’t disrupt the fishing or result in chaos. Margo Egeberg says they love living at Van Hook year round, with its winter quiet, summer fishing and friendly neighbors. “I just hope everything stays good,” she said. Up the road a few miles, Terry Clayton is counting on that. He owns the bustling Ranchman’s 23 restaurant at the crossroads of Highway 23 and Highway 8. He has plans to add a $5 million, Western-style retail pavilion, with an outdoors cantina and roping arena. He depends on locals, including Van Hook recreationists, for the bulk of his business. There are oil wells on either side of the truck stop and motel that partner the restaurant development. Sundberg said the company will do what it can to make the drilling and production compatible for Van Hook users. The company will build a 32-foot-high sound barrier around the well pad, use a quieter electric instead of gas-driven drilling rig and run pipelines to a storage tank battery three-quarter’s mile distant. Each of the 11 wells will cost in the range of $8 million, partly because the well’s horizontal legs will extend out 3 miles to tap into the Bakken shale far below the bed of Van Hook arm. Eide says no matter how close or loud it may be, he doesn’t think the well development will affect the overall popularity of Van Hook, a lively and lovely destination, with its cabins, bait store, camping, parks and lake shore all around. 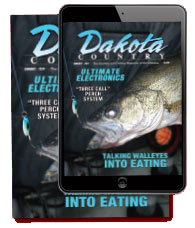 “As long as the walleye are biting, people will be here. Will it take away from their experience? Probably,” he said. BELFIELD, N.D. – The Belle Fourche Pipeline system that contaminated a tributary of the Little Missouri River is in a landslide-prone area and vulnerable to future spills, federal pipeline regulators say. A document from the Pipeline and Hazardous Materials Safety Administration shows that regulators believe the pipeline company may have experienced other spills in southwest North Dakota that went undetected due to inadequate leak detection monitoring and unstable terrain. The agency issued a corrective action order to Belle Fourche Pipeline Co., part of True Companies of Wyoming, following the spill discovered Dec. 5 by a landowner northwest of Belfield. The spill, now estimated at 529,830 gallons, three times larger than an earlier estimate and one of the most significant in North Dakota history, contaminated about 5 miles of Ash Coulee Creek, which flows into the Little Missouri River. The cause of the spill is under investigation, but the company points to the slumping of a hillside in the rugged Badlands terrain where the pipeline break occurred. However, after holding a hearing, the federal pipeline agency concluded the pipeline system is potentially hazardous to life, property or the environment unless additional steps are taken, according to a document made public this week. Wendy Owen, a spokeswoman for True Companies, said the company believes the pipeline leak began on Dec. 1. The company noticed an imbalance with the pipeline on Dec. 3, but misinterpreted its own data, allowing the spill to continue unabated until a landowner discovered it two days later, according to the PHMSA order. The Office of Pipeline Safety, part of PHMSA, argued there is a risk of repeat failure on the pipeline system due to the the topography of the area, soil conditions and slope stability issues. Owen said this week the company has fixed an issue that affected leak detection and officials don’t believe the pipeline system is at risk. The segment of the pipeline that failed was shut down and can’t be restarted until federal regulators give the OK. The pipeline system was built in the 1980s, but it’s believed a portion of the line near the failure was replaced in 2013, according to PHMSA documents. The North Dakota Oil and Gas Division also is investigating the spill and analyzing potential landslide areas in the state to identify other pipelines that could be at risk. The spill did not affect any drinking water sources for humans, but a rancher reported losing cows that he attributes to the contamination of the creek, according to the health department. Bill Suess, spill investigation program manager, said he had been informed that the landowner declined to have a veterinarian confirm the cause of death of the animals. However, Suess clarified this week that the landowner said no one asked him to have the animals tested. The landowner has not returned calls from Forum News Service seeking comment. True Companies of Wyoming also was responsible for the January 2015 Bridger Pipeline spill that involved 30,000 gallons of oil in the Yellowstone River, contaminating the drinking supply for the city of Glendive, Mont.